are located in one of the oldest textile mills in Prato. The company was founded as “Calamai Brunetto e Fratello” in 1878 and a few years later became the “Anonima Calamai”. In 1891 the factory set up the first mechanical spinning mill. 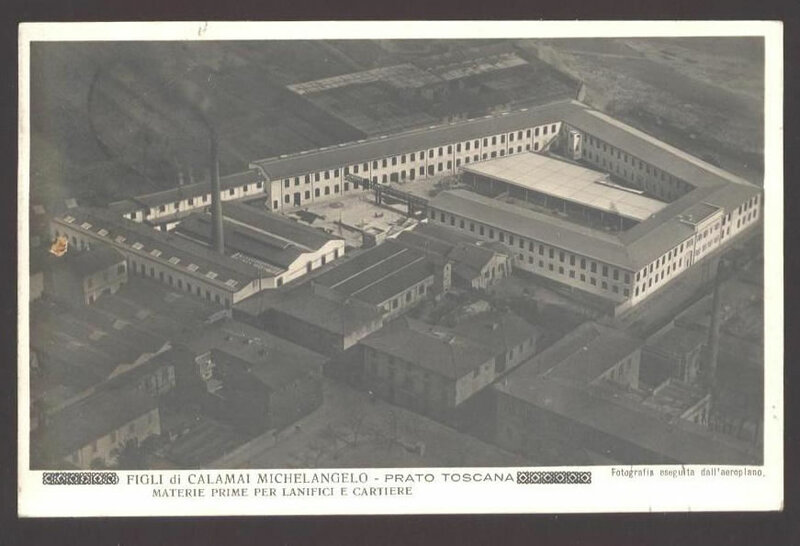 In the early of the twentieth century Michelangelo Calamai left the “Anonima Calamai” firm and founded a new company for the processing of a raw materials (both new wool and rags; collected, selected and prepared for a new textile cycle). In 1921 he founded the company “Figli di Michelangelo Calamai” which, as well as processing raw materials, also started making fabrics. In 1928 the new factory on the river Bisenzio was opened (at this time the company became known as “Calamai su i’Bisenzio”) and this factory still exists and is now part of Prato’s architectural heritage.